Congratulations to Justin who was recognized as Athlete and Coach Of The Week at CrossFit Amundson. The most common expression from people when they mention Justin is, “I love that guy!” Justin indeed captures the heart and soul of our gym in his kindness, compassion, encouragement, and selfless-service to others. Take for example the recent Water Warrior Competition: After CrossFit NorCal’s team-members left Austin (same person who completed Justin’s Level I CrossFit Course) at the start line of the final foot-race all alone, Justin volunteered to be his partner for the team-race. 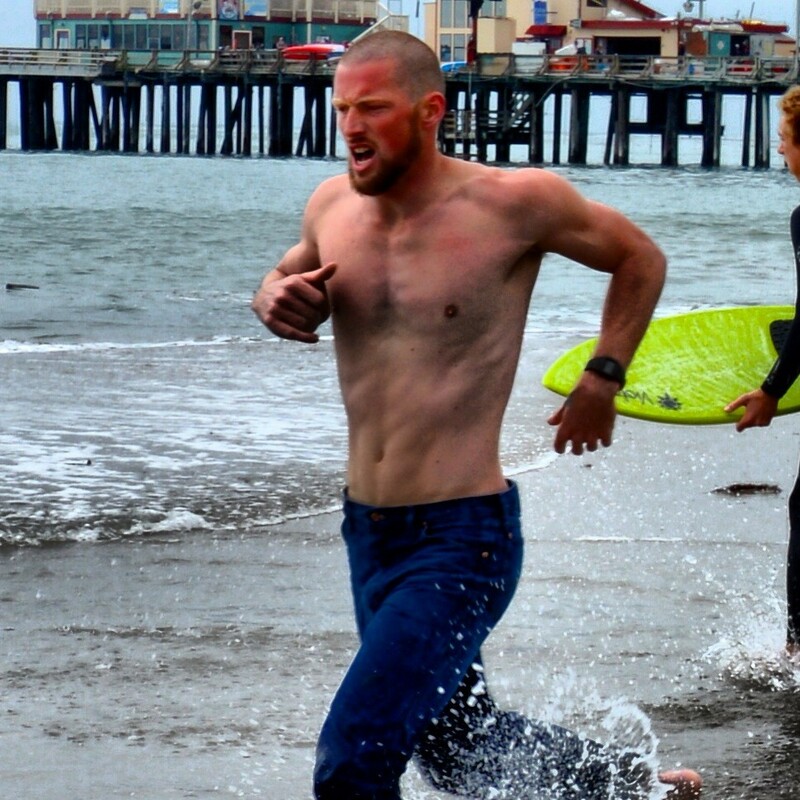 Justin’s incredible speed in the sand and water, even though he had dried off and was wearing jeans (see photo above) was enough to secure the 2nd place victory for CrossFit NorCal. Now that is pure CrossFit Amundson! In addition to his athleticism, Justin is a great Coach who cares deeply for the Athletes in our gym. Today is also Justin and Bri’s 4 year anniversary! Congratulations Justin on all your success!